Does anyone remember the plot from the 2011, Liam Neeson movie ‘The Unknown’? The movie tells the story of how a man’s identity gets stolen after a bizarre car accident in Berlin. He wakes up 4 days later to find that his wife doesn’t recognize him and he has been replaced by another man who has all the ID and photographs with his face replaced. While this plot only seems to exist in fiction (we hope your wife won’t forget you no matter what), Identity theft can certainly take you by surprise reminding you of how ‘truth can be stranger than fiction’. According to a recent research, approximately 15 million US citizens are affected by Identity theft, losing more than $50 Billion each year. This proves the fact that no matter how safe we think we are, there is always a fear of our personal information being misused by the sneaky hackers and criminals. The only way to prevent this immense threat is through smart thinking and organizing your data in a planned manner. Let us take a look at some really simple yet clever ways to protect your online personal information from identity thefts. While, payments through credit cards are more secure than debit cards, there are a significant number of debit card users across the globe. As debit cards are gateways to your personal funds and information, they are the most vulnerable targets for hackers. The best way to protect your bank account is by keeping a regular check on your monthly statements and maintaining a checklist of the transactions. Also monitor your monthly credit reports to know if any unknown transaction or financial activity (opening of new accounts, new loans etc.) have happened in your name. Sharing your credit card information with an online seller might not be a smart move on your part. There are several secure methods such as PayPal, which provides a secure way to make online payments and also offers insurance, in case of fraud. You can also use online currency such as Bitcoin to make sure you never give out sensitive information (credit/debit card details) on the internet. Identity Protection Service should actually be the first thing you should do to ensure a high level protection against identity frauds and thefts. It not only provides the best identity protection methods in a single product but also offer additional protection for your family. It protects from a wide range of identity related frauds such as tax fraud, family fraud, employment fraud, ID theft and benefits fund fraud. The best way to know the degree of threat is by knowing more about it. Identity theft is certainly not as adventurous as the abovementioned movie’ The Unknown’ and can cause a heavy and unexpected financial loss. 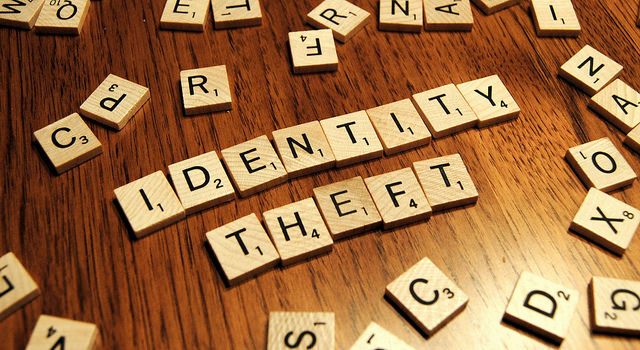 Reading about identity theft and ways to protect personal information will not only keep you more informed but will also make you realize that it is a real threat to your life savings. There are several online articles and sources that you can search for and know more about the various loopholes in your security. If you access the internet through a computer or a tablet, make sure you install a good quality Anti-Spyware and Virus protection on your system. Your computers are always full of personal information such as photographs, documents containing personal data such as credit card details, bank account details etc. All this data can totally be accessed by Trojans and malicious software by an external hacker. The Anti-Virus programs also offer password protection on downloads and access to malicious websites. According to a recent experiment, it was found that people readily connect to unknown Wi-Fi sources, if it’s offered for free. The Idea of freely available internet on the go sure sounds impressive, but it also provides a large gateway for the hackers and identity thieves to access your personal data. Public use of Wi-Fi should be strictly limited as fake Wi-Fi hotspots are one of the common methods of gaining access to your personal information. Putting a freeze on your credit not only prevents others to do any financial transactions in your name, but will also keep you informed of any attempts to use your credit information. Each time someone tries to access your credit information, it must first be verified with you through a personal phone call. Apart from this, you can also consider setting up a fraud or identity theft alert that would keep your information secure for a specified number of years and can also be renewed. Carrying too many ID proofs might be your way of proving your identity but it can also be a big target for the identity thieves who are always looking for opportunities. The best way to avoid this is by taking only what is necessary and dealing your identity proofs like cash. Taking your driver license, social security card, passports and other valid identity proofs all at once might be a little too much. Make sure you store them in a safe and carry only what is necessary. According to the latest statistics, the number of Smartphone users is going to cross the 2 Billion mark by the end of 2015, showing the growth in internet users. Smartphones are basically miniaturized computers that contain all sorts of information such as photos, bank account details, personal information (name, address, date of birth, contact details etc.) that can be used by attackers and data hackers. Installing anti-virus and anti-theft apps for smartphones is a great way of protecting your phones from thieves and identity frauds. You certainly don’t want unknown users to access your personal Wi-Fi network without your wish. These unknown users can be freeloaders who just want to download some music, or data hackers who might be looking to misuse your personal information. The best way to counter this problem is by setting up a virtual private network or VPN to gain secure access to the internet while keeping it safe from attackers. Living in the 21st century, it would be too naïve to think that your online data is safe from threats, despite how the world promotes the use of Internet. Like mentioned above, only through smart thinking and taking some necessary steps, can you protect your online information from the sneaky hackers.